1133594166 -DRUGS ACROSS THE SPECTRUM encourages you to examine the motivation for drug use, social implications of drug use, legal ramifications, and factors affecting how drugs interact with the human body. It provides a look at the history and culture surrounding drug use and abuse, key information regarding specific types of drugs, and a review of drug treatment, education, and prevention approaches and programs. 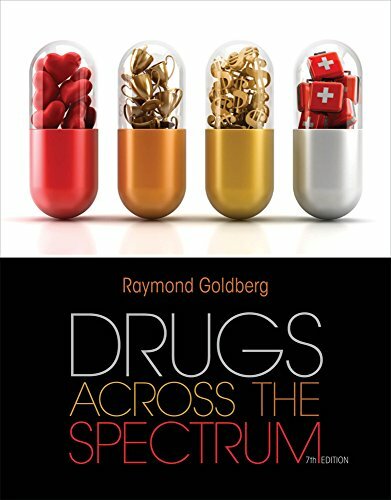 Utilizing active learning features like “Fact or Fiction” and “Thinking Critically” questions, Goldberg offers an engaging book that helps readers personally understand the issues of drugs in society. Available with InfoTrac Student Collections http://gocengage.com/infotrac.